What can you say about Marko James? Well there is a lot should know about him, he’s a recently college graduate with a PHD in business from Sims University. After graduating, he decided to move back to the of San Myshuno to focus on his career. 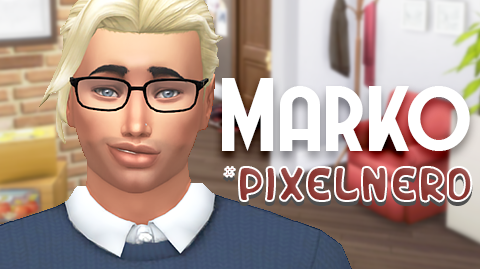 If you want to custom content shown in the video below, I added the a full cc list of Marko James. He’s such a heart throb and I might get a heart attack! I waited for him so much! Thank you Stephen! I really appreciate it and I love it! heheh XD I’m glad you love him, I made him last week when you asked me to make him so I decided to make him an apartment as well. Which I’ll have up tomorrow with a blog post. Will he eventually make an appearance in any of your LP’s? Just asking out of curiosity. You’re amazing! Also I apologise for asking too much.